This is for ALSN (formerly CGEAN) members only. This is for non-ALSN members. ALSN invites you to participate in this webinar series which will focus on topics that matter to you. 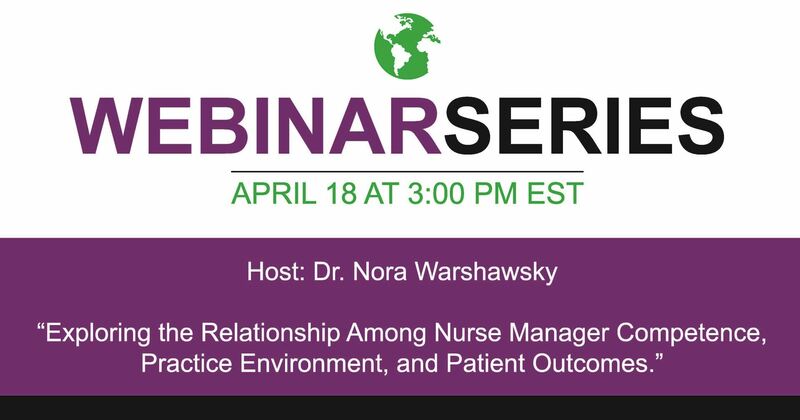 This webinar will be lead by Nora Warshawsky, PhD, RN, NEA-BC, FAAN, Professor at University of Central Florida. This webinar will be conducted via Zoom. Nurse managers are responsible for creating professional nursing practice environments and oversight of patient outcomes. While nurse managers are critical to organizational success, new managers often assume their positions with little preparation for the role; often developing leadership and management competence through experience. Recommendations requiring graduate education for nurse managers have been made but education requirements for nurse managers vary by organization. In an era of value-based purchasing, nurse manager competence is essential to organizational financial performance. This presentation will present findings from a national sample of 666 nurse managers working in 53 US hospitals to understand the relationships among role development, competence, and patient outcomes. Nurse managers completed an electronic survey administered by Press Ganey. Their survey data were matched with their corresponding National Database of Nursing Quality Indicators™ (NDNQI) patient care unit data. This webinar has been approved for 1 CE.